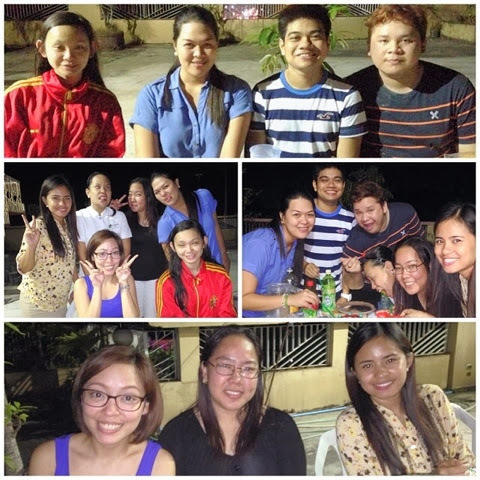 CAVITE - It was a night full of food, fun and friends. 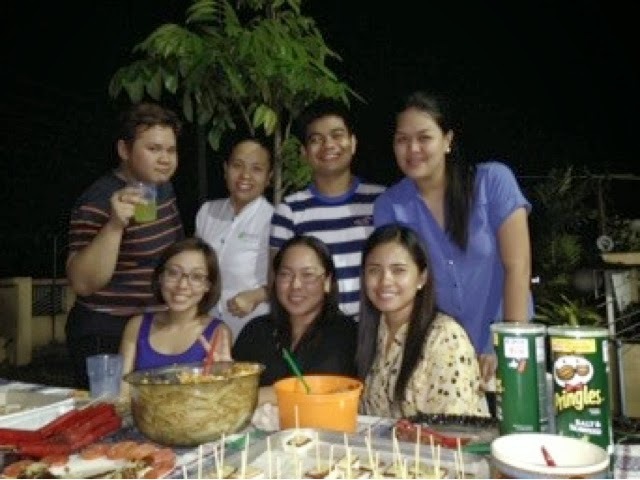 December 26th marked the day of a wonderful Christmas Dinner with my High school friends. With the help of my dad and Kuya Louie, we set up the rooftop and had lights fixed and the tables all covered up. I was in-charge of the cooking and the overall preparation. During the afternoon, me and my friends Myrcel, Judy and RJ went to SM Supermarket to gather some things for the dinner. 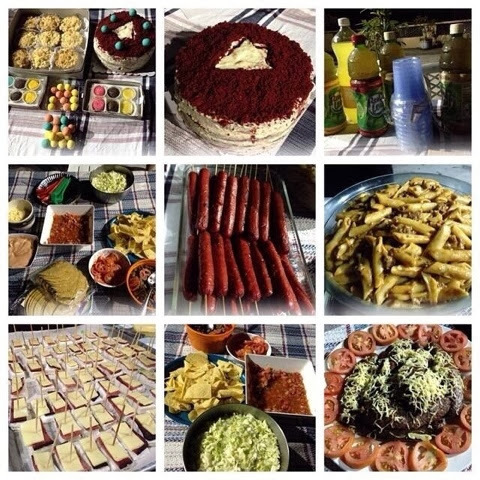 We decided to prepare cheesy penne pasta, cute little canapés, grilled sausages and kielbasas and our favorite nachos and tacos! I led all of them in the kitchen and they were all great helpers in the cooking and preparing process!